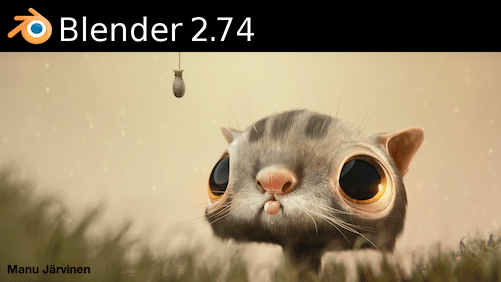 The Blender Velvets are ready for Blender 2.79! 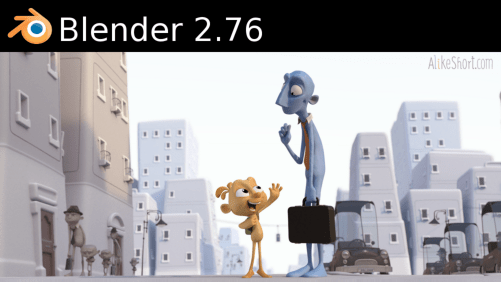 Blender 2.79 was released with few new improvements related to the Video Sequence Editor. Actually, two: (1) it’s now easier to choose between formats to export your video at the Render screen and (2) there are tabs in the panels around the VSE. That’s it. Shortcut for Velvet Revolver function “Proxy_Editing_ToProxy”, responsible for changing full-res videos paths to proxies paths has changed from Crtl+Alt+P to Ctrl+Shift+Alt+P. Are you feeling brave? Velvet Revolution is being cooked in the oven and is probably almost ready. Revolution allows you to back up your projects in smaller size than if you kept all videos and audios in your computer. The addon recognizes the cuts in your timeline, then fetches only those videos, audios and images to back up, ignoring the rest. This back up will consist of your cuts, not of your original videos, reducing the backup size. You can choose a margin between the cuts (default is 2 seconds) in case you may need to do a new future render with minor differences. This new addon is inspired by a function Final Cut has (or has had) and which name I still have to find out. Velvet Revolver at this stage is to be considered EXPERIMENTAL, so double check your cuts after using it and before discarding any of the original data. Feedback is appreciated. How to download it? At the moment, I’m still running some tests, so you can get it directly from its the Velvet Revolution branch at the Blender Velvets GitHub. It should work fine for video, audio and image strips, but tests must be made for metastrips and effect strips. Documentation will follow up whenever time allows for it. The Blender Velvets have finally a long video tutorial on how to edit video with Blender using the Velvets addons! The video is divided into two parts: downloading/configuring Blender and installing the addons; and the actual editing. Thanks for João Lacerda, a friend from Rio de Janeiro, who had the patience to sit besides me and ask pertinent questions about video editing in general. We tried the approach of having someone with video editing experience in other software (Final Cut) so that the general common doubts could pop up along the explanation – this made the tutorial richer as real-world issues were raised all the time, even if we were half asleep after having a long night in São Paulo. The tutorial is currently only in Portuguese (sorry), but it should be easy to follow along because all the shortcuts we used are on the screen, both in Portuguese and in English. We can try and do an English version or subtitle it in English if there is some help/interest of the community. Feedbacks are welcome. The Blender Velvets are currently being used in training four new Jongo leaderships – most of whom come from traditional quilombo lands – and a cultural hotspot in Rio de Janeiro that has a cinema project in the favelas. If you don’t know what Jongo is, you should definitely watch this video. For this training, we added four new functions for Velvet Goldmine/Velvet Shortcuts. Now you can Deinterlace (Ctrl+Shift+I) and Remove Deinterlace (Ctrl+Alt+I) all selected strips and Delete joining the resulting strips (Ctrl+Delete). Videos that have been transcoded with ffmpeg such as the ones made by Velvet Revolver have exactly one audio frame more than their video strips. This makes it very inconvenient to drag them around when you import them, since you’d have to select first one, then the other – especially if you import lots of videos at once to your timeline. To correct this behaviour, select them and use Ctrl+Shift+Alt+D to remove this extra audio frame. 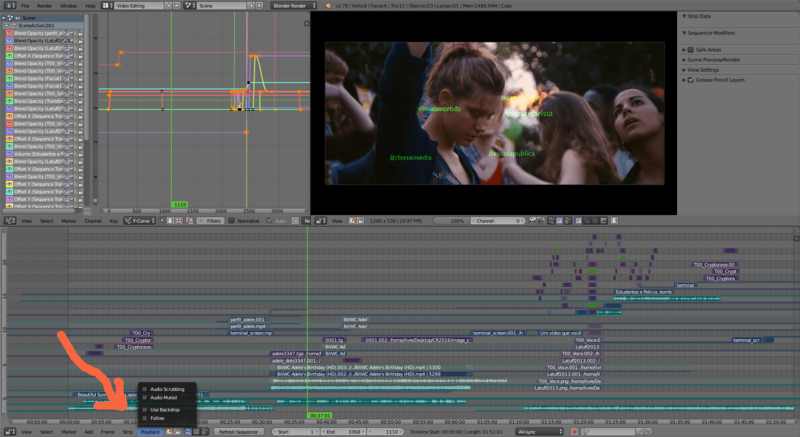 The Playback menu comes originally from the Timeline window in Blender. Since we don’t need to use this window with the Space Sequencer modified interface, the “Audio Scrub” and the “Follow” menu items were brought directly to the Video Sequence Editor for convenience. The “Use backdrop” function was also added to this menu to save space. As requested long ago by Nathan, Velvet Revolver has now support for h264 encoding. This is still experimental, but should work both for proxy generation and full-res copy creation. Reasons for such change are actually simple. Technically, the suitable formats for editing are ProRes and MJPEG. This is especially true when you want to change the speed of those videos by using the “Speed control” effect in Blender’s Video Sequence Editor. Second, my old recycled laptop computer, a Pentium M from 2005 (! ), finally died. I was never able to edit videos on it, for obvious reasons. Last month, I bought myself a newer machine, an i5 ThinkPad from 2010. Video editing there seems promising with SSD, but asking for ProRes or MJPEG is simply too much because disk space there is an issue – the files are simply too big. Used and older computers are great because you save some electronic waste and prove, at the same time, that 2D video can be achieved at lower cost machines, which can be crucial for activist groups. If you’re in the field, you need something fast, light and at hand, so h264 makes a hell lot of sense in this scenario. Thanks Nathan for pointing that out in the first place and encouraging it, even though time has been short here and it took way longer than expected to have the peace of mind of implementing those changes. Beware, though! Changes with the “Speed Control” effect may not render or work as expected since h264 is not an intra-frame codec. Test whatever you want to do before assuming things will go smooth with the 30′ documentary you have to deliver in the next 2 days. Also: as computaholic pointed out at GitHub, Velvet Revolver was having issues when converting files down from 59.94fps to 29.97fps. When Blender 2.77 was released, direct access to the project’s FPS* seemed not to be working, so I changed the code to mimic the way Blender was supposedly calculating it. It turns out the old code is actually working now, so I raised the previous version from the dead and any problems should be fixed now. 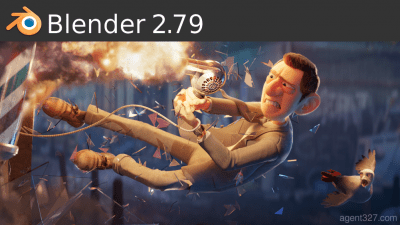 The Blender Foundation recently updated Blender for its 2.76 version, and the Blender Velvets are up for it! Updates should be done as usual: just download and run the program, install the addons according to our documentation and be happy. Ardour is currently on version 4.4.0 and FFmpeg is currently at 2.8.1. Two new interesting features regarding the Video Sequence Editor (VSE) are worthy noticing. First, it is now possible to insert simple texts into the video directly from the VSE, and even exporting those to .srt format. It’s a cool addition and a very requested one by video editors, but to me this is not the main thing to notice. The text effect seems the first implementation (which is great!) of something that probably will evolve and become more complex with time. The second one is something anyone who has finished editing and started color grading for final render using modifiers will recognize immediately as extremely useful. You can now select one single strip, add your modifiers to it (say, curves or color balance) and… copy those modifiers to all other selected strips you want! This is just awesome and incredibly time-saving. No more trying to find that exact spot on your curve to correct the white balance on similar footage to the one you just corrected! Actually, this addition is so incredible for video makers that it’s surprising it’s not even listed on the overall list of new features. Well, now you know it. Have fun! 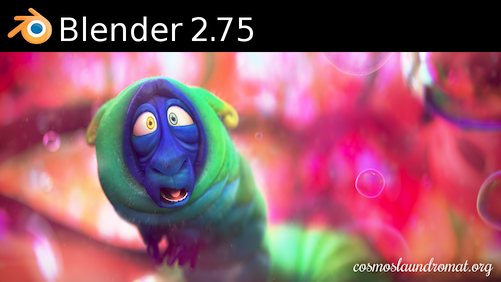 Velvet Goldmine and Velvet Shortcuts are now ready for Blender versions 2.73 and 2.73a. “Markers – Delete Closest” now recognizes markers that have been moved in the timeline (for example, when “View > Sync Markers” is turned on) and/or that had their names changed. This bug goes all the way back from the early days of Velvet Goldmine but I was finally able to track it down and reproduce it, so it’s now fixed. “Metastrip – Make Direct” is now deprecated. Behaviour has been incorporated into Blender itself so the function became useless. “Strips – Jump to Next” and “Strip – Jump to Previous” (former Ctrl + PgUp/PgDown shortcuts) are deprecated. Recognition of the end of the strips (instead of just their start) has been incorporated into Blender 2.73, so the functions became useless. “Strips – Concatenate selected” (shortcut Shift + C) is still active and on the code, but in most cases the recently added “Insert Gaps” (shortcut Shift + =) and “Remove Gaps” (shortcut Backspace) will do what you expect of this function. I left it there for the time being, but it may suddenly vanish from the code if it proves pointless. Blender comes with an odd “non-shortcut” for screen.screen_full_area by default – basically, if you press the mouse button on the screen, the screen will become fullscreen and hide all the buttons. Curiously, this does not seem to affect Blender when the set of shortcuts is set to default, but manages to screw up everything when you add other shortcuts such as the Velvet Shortcuts. So the code for this part is commented here to prevent this odd behaviour and for the sake of user sanity. Update of Velvet Goldmine and Velvet Shortcuts is recommended. “Strips – Adjust to Cursor” and “Strips – Adjust to Start” now behave like we expect them to, fixing an odd scattering that happened when moving the strips around. This is a cosmetic change because both functions were fully functional, but it is always good to see exactly what you want to see happening in the timeline instead of some strips changing channels. Reinstall of Velvet Goldmine is optional.